I have mentioned this before… some books are hard for me to review. Open is one such book. 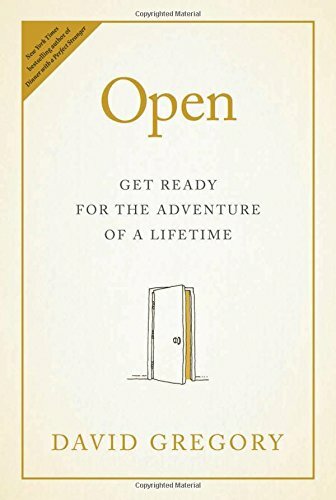 The reason that Open is difficult for me to review is the fact that God is using its message, along with John Bevere’s book The Bait of Satan (a bible study that I am currently going through), to work on a painful personal stronghold in my life. I was hurt deeply a few years ago. The kind of hurt that has radically changed the lives of my family. I need to get past that offense. Both of these books…one fiction, one a bible study…are like a one-two punch at the heart of me. Therefore, I can’t break the story down analytically. All that I can say is that God is using the works of David Gregory and John Bevere to show me the sin of holding onto an offense. I am lovingly being reminded that Christ is the answer. He is the healer. What I have specifically received from Open is a reminder of the personhood of Christ. That as a believer I need to love and seek Christ. Christ hasn’t given me a series of steps/rules to be followed… items to be checked off a mythical list of required acts for good Christians. Instead, He calls me to seek after Him. To worship Him. To love Him. God always has impeccable timing. It is only God that can orchestrate a friend inviting me to a bible study while at the same time I finally pick up Open to read (a book that I am very late in reviewing… I should have already read it). I pray that God will use Gregory’s story in your life as He is doing in mine. 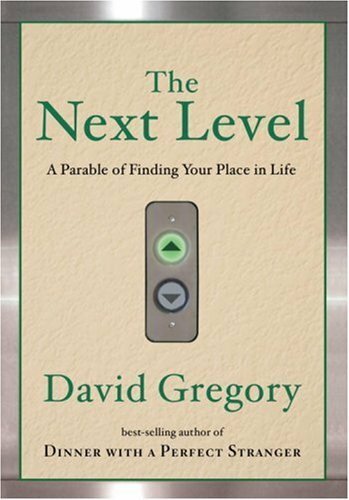 David Gregory is the author of "Dinner with a Perfect Stranger", "A Day with a Perfect Stranger", "The Next Level", "The ""Last Christian", and the coauthor of the nonfiction "The Rest of the Gospel". After a ten-year business career, he returned to school to study religion and communications, earning master s degrees from Dallas Theological Seminary and the University of North Texas. A native of Texas, he now lives in the Pacific Northwest.